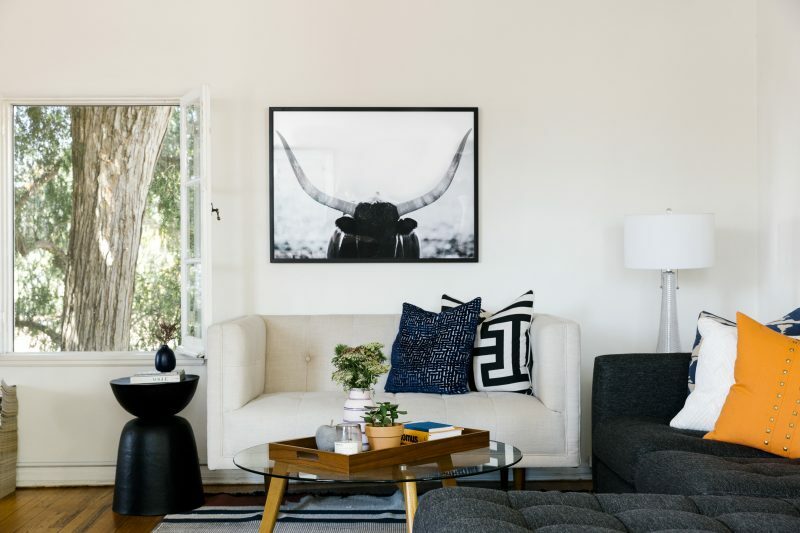 An Eclectic and Masculine Design in Los Angeles | Havenly's Blog! 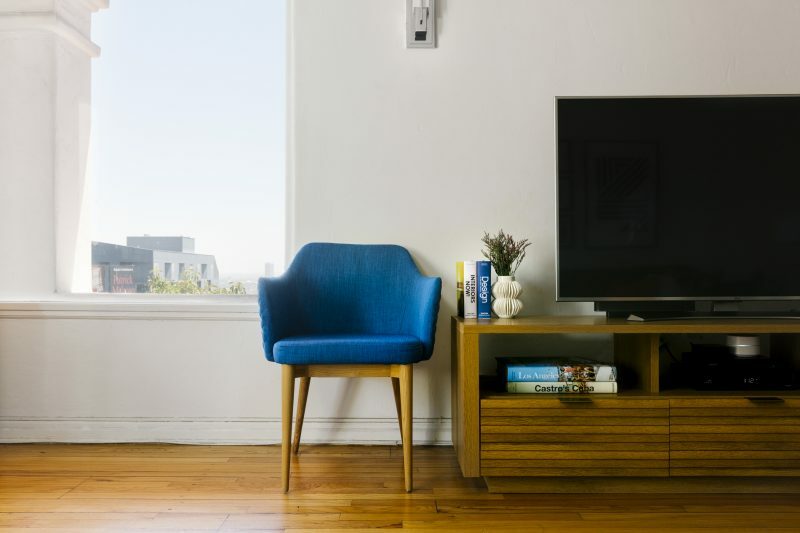 For these Los Angeles homeowners, their space had great bone. 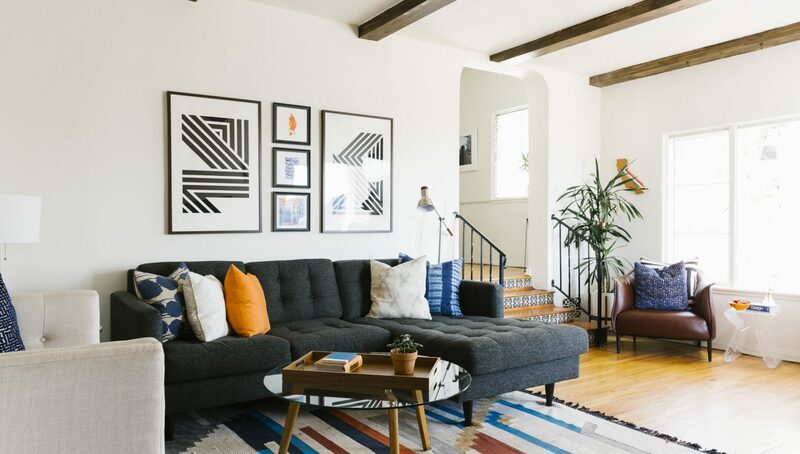 High ceilings, exposed beams, and spanish tile details on the stairs created a sunny and eclectic feel. But, they needed a helping hand to get the furnishings to feel as pulled together as the architecture. Designer Pamela Kilyk responded to the challenge by creating concepts that pulled together graphic art, bold color, and modern touches. The room incorporates tons of seating (all the better for owners who love to entertain), but remains airy in feel. Now, the homeowners can entertain in eclectic style that preserves a bold, masculine edge. Accents of blue and orange pair nicely with graphic art prints. 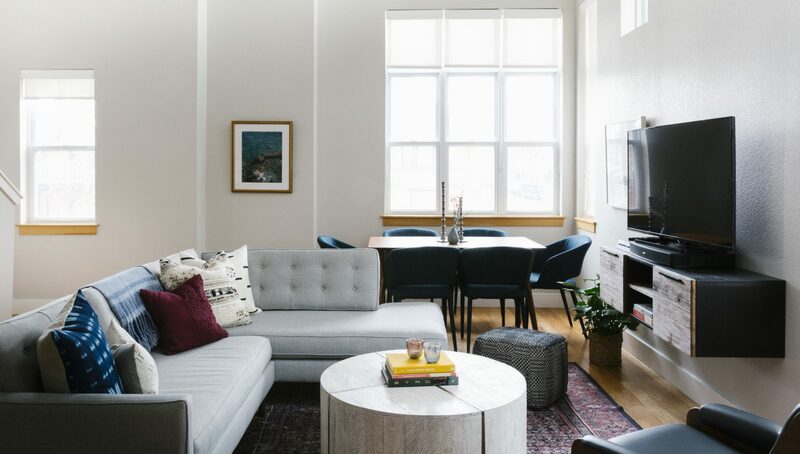 All in all, the new space is a comfortable place that’s perfect for hosting friends but functions well for everyday life.